Come check out our stuff live and in color at AUVSI 2015 in Atlanta, GA. We’ll be at booth #2966. See you there! Come check out live demos of our Omni 60, Omni Stereo, and Array cameras at Automate 2015 in Chicago. We’ll be at booth 1198C. See you there! We’ll be booth 317– with live demos of our cameras. Stop by to check those out and chat. See you there. Come check booth 207 at IROS 2014. We’ll be there showing off our products and upcoming releases, with live demos of the Omni 60M, Omni 60C, the Tag, as well as the soon-to-be-released Omni 60 Stereo camera. More information about the conference can be found here, and the full list of exhibitors can be found here. It should be a great show– see you there! 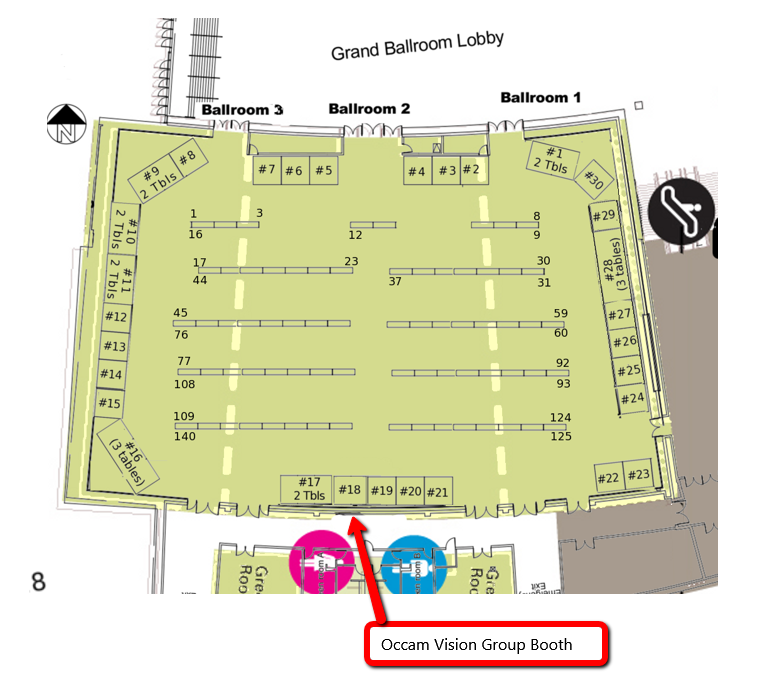 We’ll be exhibiting at CVPR 2014 next week in Ohio. Come check out our live demo of the Omni 60 and talk to us about your projects. 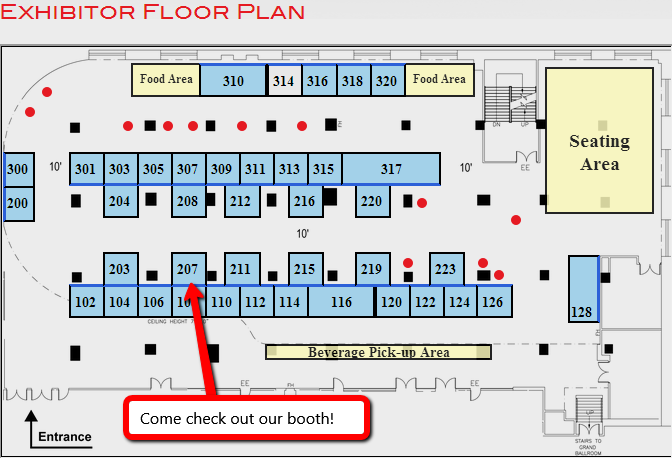 We’ll be at table #19 in the Grand Ballroom Hall, June 24-27. Also come talk to us about the discount available for the five days of the conference. Click here for more information on the show. See you there! We just finished up at ICRA 2014 in Hong Kong. It was hot, muggy, and a fantastic time where we got to meet and talk with the cutting edge of researchers and academics who are pushing the edge of the field in robotics and computer vision. We’re also heading to CVPR 2014 in Columbus Ohio. Quadcopters – Lowering costs for these units – especially from folks like Parrot and DJI. The higher ends are focusing on autonomous navigation features (potential use case pairings with Occam camera self-localization and ego motion, as well as SLAM) like Ascending Technologies. Robotic Arms + Hands – Arm and hand manipulation for end use cases of medical, handicap assistance were especially popular. Agricultural Robotics – Field inspection, potential harvesting applications. Oil + Pipeline Inspection Robots - Either paired with UAV (unmanned aerial vehicles) like autonomous quadcopters or smaller UAV planes, as well as lower powered robotic units operating within the pipelines themselves that would inspect for holes, blockages, or other potential debris inside or outside of the pipelines. Popular with various oil and natural gas folks.